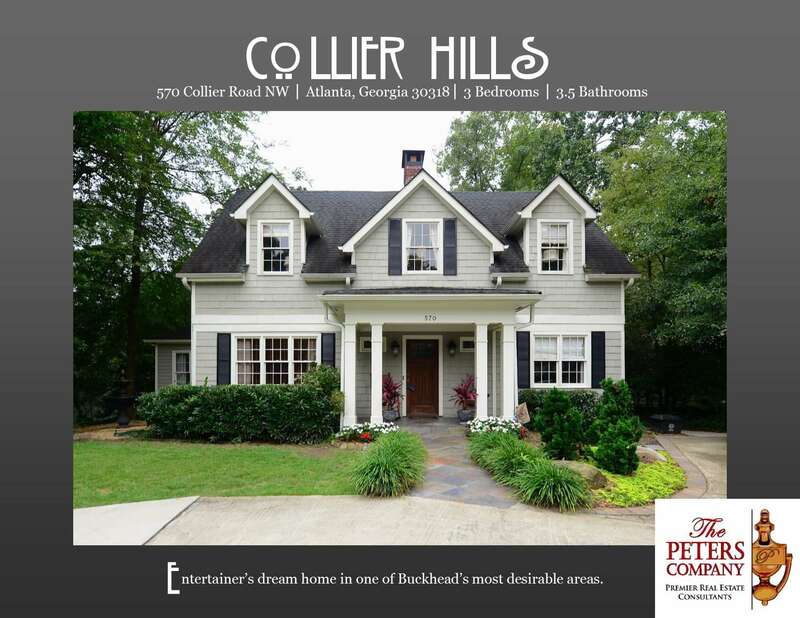 Just Listed :: Entertainer's Dream in Buckhead's Collier Hills! Welcome Home! This adorable Collier Hills home has been renovated inside and out. The floor plan, custom features, and charming character of this property will never go out of style. The close proximity to I-75, I-85, and Peachtree Road makes it convenient to and from any direction. You’ll love being close to all of your favorite Buckhead restaurants and shopping spots as well as the Atlanta BeltLine, Bobby Jones Golf Course, and multiple parks and playgrounds! Thoughtful craftsman touches, a flowing floor plan, and custom features throughout. Chef’s kitchen features stainless steel Wolf and Bosch appliances, granite counters, breakfast area, and opens to keeping room with built-in bookcase. Spacious living room has gas fireplace and built-ins. Sunroom is wonderful extra living space. Home pre-wired for AV with other tech upgrades including dual Nest thermostats, color touch-screen alarm system, and refrigerator with LCD display. Master suite features a large walk-in closet and master bath with double vanity, jetted tub, and separate shower. Bedroom and full bathroom on main level are ideal for guests. Third bedroom has its own private bathroom. French doors all along the back open to backyard oasis with deck and recently added saltwater pool and spa. Professional landscaping designed to bloom year round. Unfinished basement provides tons of extra storage space. ← Just Listed :: Move-In Ready Traditional in Alpharetta!